Johnathan Burnham, CFA, is a Managing Director and the Director of Research Communications for Thornburg Investment Management. Prior to joining Thornburg, Johnathan was the Manager of Investment Strategy & Research for Advised Assets Group, LLC, a registered investment adviser providing services to defined contribution plans. He graduated from Colorado State University with a degree in finance and was awarded an MBA from the University of Colorado, Denver. 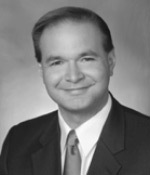 Johnathan previously served as the Vice President of the CFA Society New Mexico.